When thinking of home improvement, there is little thought that goes into making your bathroom better. After all, you don’t spend an awful lot of time in there. In fact, you might even face the same challenge I did when looking for DIY projects that I could incorporate in my bathroom but I finally got one – A corner shower seat! 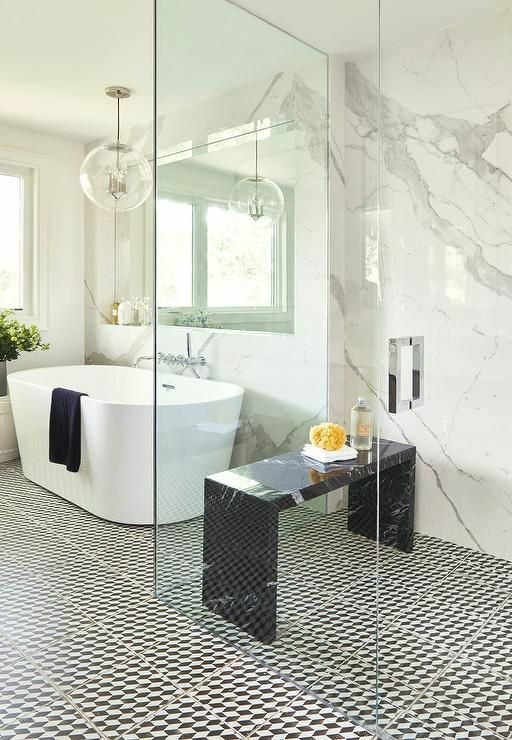 These fabulous bathrooms with shower seats might not jump out at you at first but you will definitely love it when all cards start falling into place. To help you buy into the idea, let’s look at some of the benefits that a corner shower seat has to offer. It can be a great spot with easy reach to set up your shampoo and conditioner not to mention the perfect spot to prop your legs when shaving. It’s also a wonderful bathroom space saving solution. For those days that you’re too beat to take a shower standing, this little seat offers a great spot to sit down as the hot water pours over you. The real value of shower corner seat comes when your age advances or you get injured or sick (God Forbid). Nonetheless, you do need to plan ahead. If you’re buying into the idea, I need to first remind you the International Residential code requires that you shower be 30 inches by 30 inches. You should make sure that by bringing in this neat little addition your square footage does not fall below the legal limit. To make the seat sturdy, you will need to cut a groove in the existing shower wall and insert the seat into the groove you have made. You can use Mesh tape and Caulk to seal the seams around the bench and also to prevent the water from entering the groove. You will need to consider the style of the seat. It depends with how abrasive you are when it comes to design. 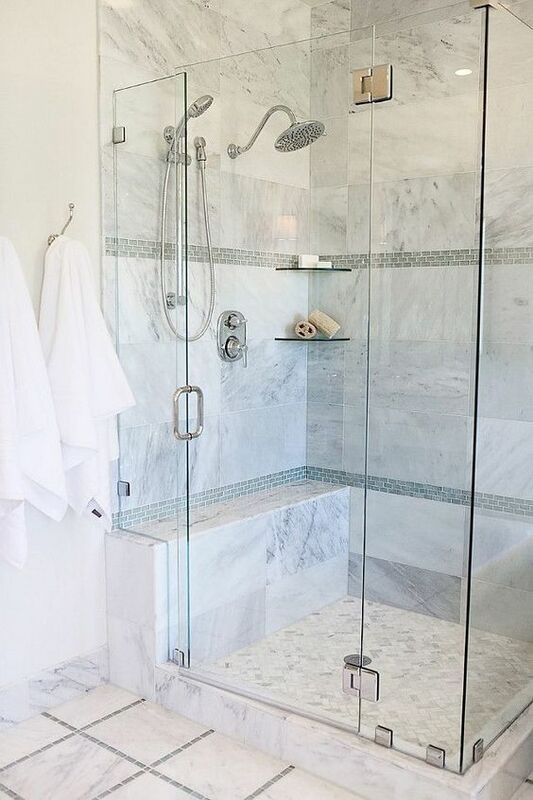 If you have the budget, the seat can have a tile that matches the rest of the shower so it blends in or you have one that stands out. Alternatively, if you’re more aggressive with your DIY, you can make your own corner seat of hard wood. Of course, you will need the best cordless drill to secure the seat (read Best Cordless Drill Reviews – The Nutty DIY Guide to pick the best tool) and also a protective coat of paint to protect it from rotting. Depending on where you install the seat, you might need a handheld showerhead. My advice on this is, get the handheld shower head anyway. 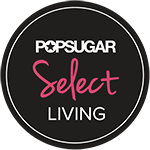 It is very maneuverable and will allow you to enjoy your new installation longer and with more comfort. A handheld showerhead is also a great idea if you’re installing the shower seat for an aged member of the family. It is will save them the effort of having to reach to the soapy areas when rinsing. Needless to mention, there is less bending and twisting with the handheld showers. While installing the shower corner seat, there are a couple of factors that you will need to consider starting with the height of the seat off the ground. I suggest around 17” but don’t forget that this is subject to the user. If the seat is for your kid, then you probably want it far lower than that. It needs to be within reach. You also need to consider the material that will be used in the making of the seat. What’s your current decorating style in your bathroom? 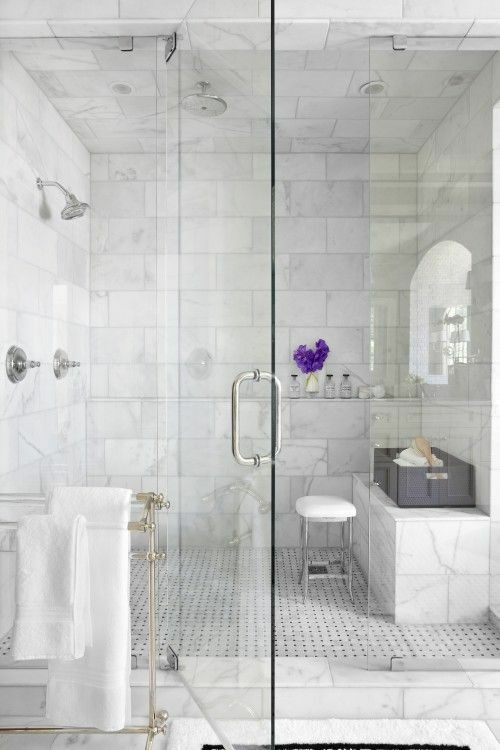 If it’s all marble, consider your shower seat being marble too! Ideally the stronger the material the better but if there is not a lot of weight that will be put on the seat, even good quality wood can hold with proper installation. 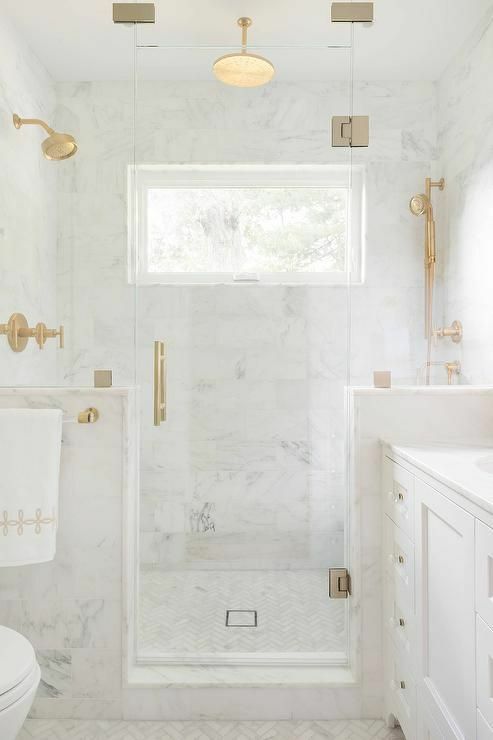 This entry was posted in Bathrooms and tagged bathroom decor, bathroom gold hardware, bathroom shower seat, how to make a shower seat, marble bathroom, shower seat diy. Bookmark the permalink.